HP's new 13-inch convertible offers an Intel Broadwell-U processor, an M.2 SSD and a high-resolution touchscreen. 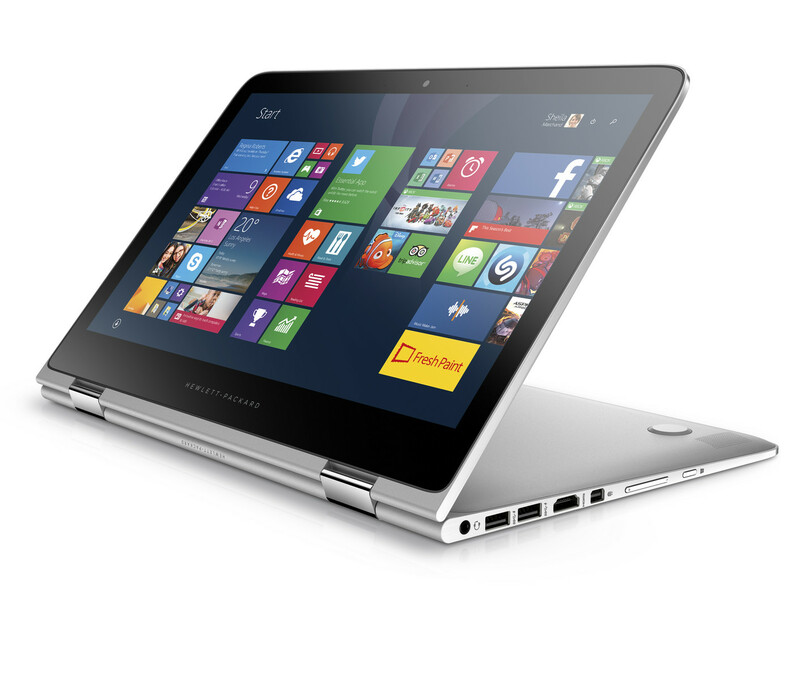 HP today confirmed the existence of the recently leaked Spectre x360 13 convertible with its official announcement. 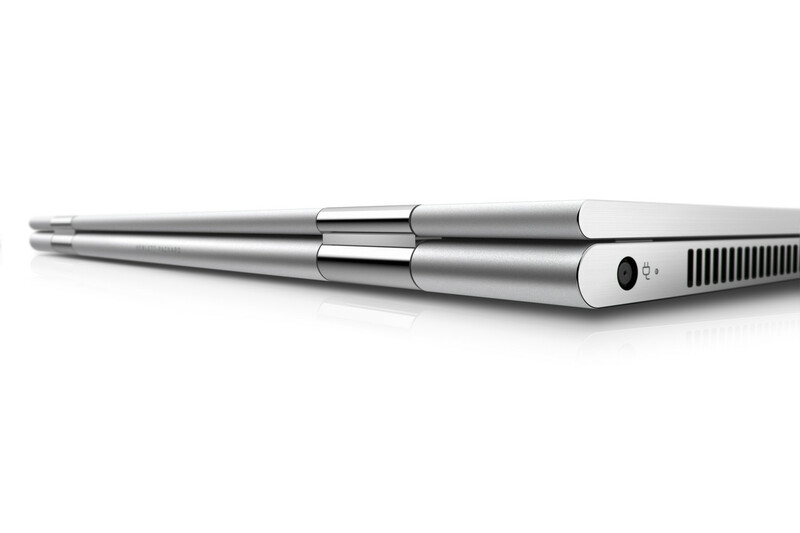 A 360-degree hinge allows this device to function as an ultrabook, a tablet or a presentation stand. 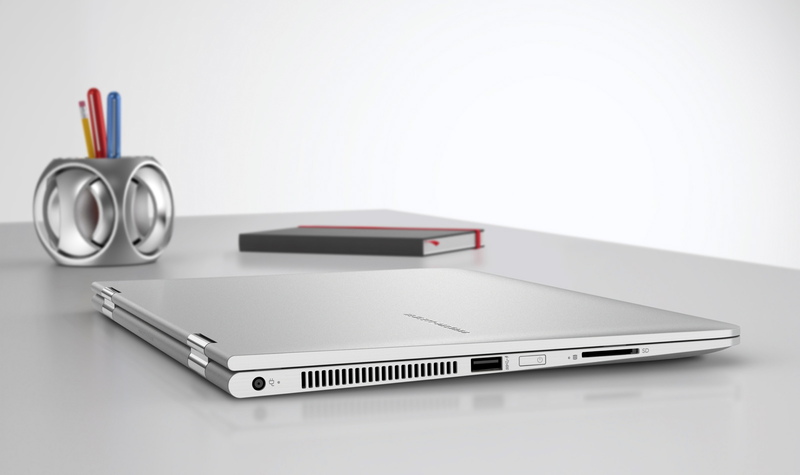 Thanks to the chassis fully made of CNC aluminium, the Spectre x360 is only 15.9 mm thick and weighs just 1.5 kg (3.3 lbs). Pictures of the convertible in its various modes can be found at the end of this article. Several configurations will be made available to customers. Curiously, both the speculated display options turned out to be true: buyers can choose between Full HD (1920x1080) and QHD (2560x1440) IPS touchscreens. Users who wish for improved touch input precision can purchase an HP Active Pen for $60. The installed keyboard is backlit, which should help users who often work in the dark. An M.2 SSD takes care of data storage, configurable with 128, 256 or 512 GB capacity. RAM ranges from 4 to 8 GB (DDR3L) and either an Intel Core i5-5200U or an i7-5500U processor can be selected. HP decided not to offer lower-powered Intel Core M option since the Broadwell-U Core i5 and i7 are more suitable for a premium multimedia-oriented convertible in terms of performance while still providing a sufficiently long battery life. HP installed a 56 Wh battery to ensure that, claiming 11 hours of 1080p video playback (for comparison: the current Apple MacBook Air reaches 12 hours in the same conditions but with a 720p video instead). Additionally, the display supports PSR (Panel Self-Refresh) technology that allows to save power by allowing the panel to refresh only when the image displayed on it actually changes. A generous amount of ports is installed, enough to compete with most 15.6-inch laptops: three USB 3.0 (Sleep-and-Charge enabled), HDMI, mini-DisplayPort, SD-cardreader and a 3.5-mm audio jack. There is no Ethernet jack but a USB-to-Ethernet dongle will be bundled with the convertible. Wireless networks are provided by an Intel module (Wireless-AC 7265) which supports Bluetooth 4.0 and dual-band 802.11 a/b/g/n/ac as well as WiDi (and hence, Miracast). The webcam is capable of recording Full HD videos. 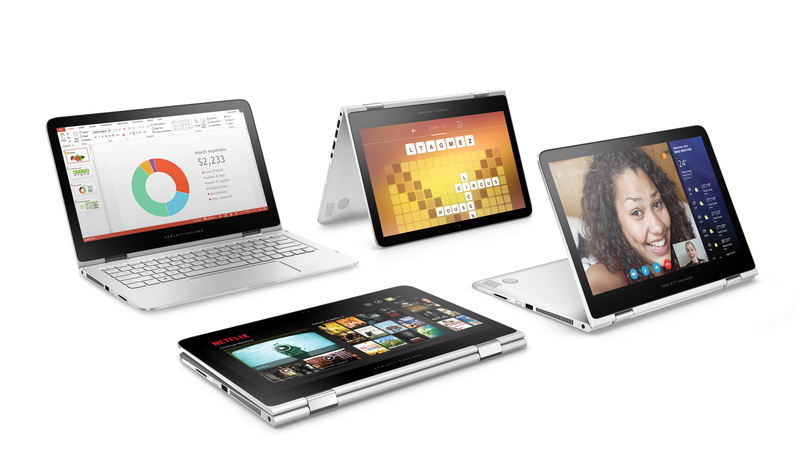 The pricing starts from $900 for the basic configuration (Core i5, 4 GB RAM, 128 GB SSD, Full HD). Doubling the RAM and the SSD capacity and upgrading to a Core i7 will increase the price to $1150, and the maxed-out configuration with a QHD display and a 512 GB SSD will cost $1400. 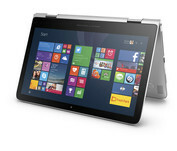 In the US, the Spectre x360 13 can already be ordered from the HP website, in which case it should ship in a few weeks. Alternatively, one can wait till March 15, when it's scheduled to appear on the shelves of select brick-and-mortar stores such as BestBuy. 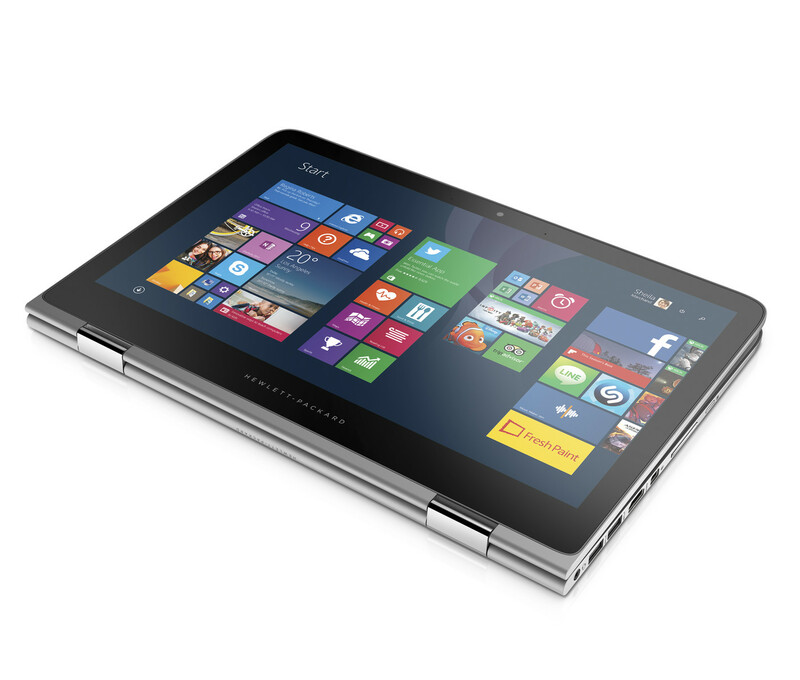 PALO ALTO, CA--(Marketwired - Mar 1, 2015) - HP (NYSE: HPQ) today announced the HP Spectre x360, a 13.3 inch convertible PC that delivers an ultra-thin design, the quality customers expect, and performance to get things done. 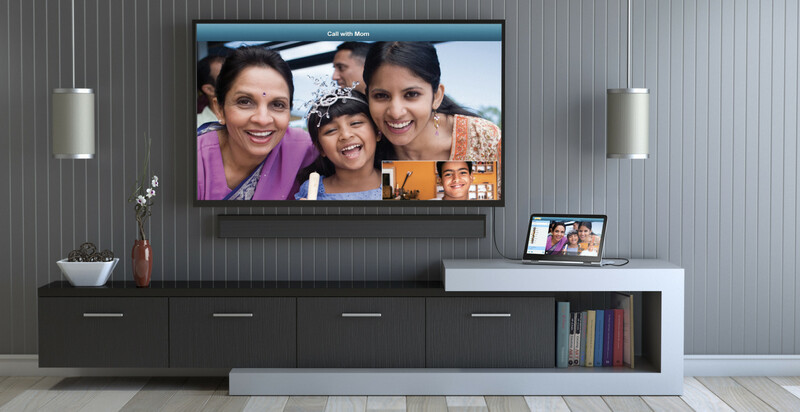 "Customers are looking for beautiful devices that deliver quality, versatility and portability," said Mike Nash, vice president, portfolio strategy and customer experience, Personal Systems, HP. "The HP Spectre x360 is transformational as it has the productivity of a high end notebook, tablet mode for on the go, tent mode for play and stand mode for watching entertainment in a stunning ultra-thin device." The HP Spectre x360 is designed with an all CNC aluminum chassis and is 15.9 millimeters in height and weighs 3.3 pounds. (4) The device features polished metal on the sides that is achieved using a single machined cut, giving it a jewelry-like finish in a natural silver color. HP improved Wi-Fi reliability and performance in the HP Spectre x360 for home, work and on the go. Based on issues identified in real-world testing, the wireless driver is tuned to improve performance on noisy networks and across a wide range of wireless access points. The new antenna slot design featured at the top of the display allows for effective 2.4GHz and 5GHz tuning, in every mode -- whether in notebook, stand, tent and tablet. (5) The result is wireless throughput and connect rates that outperform other PCs. 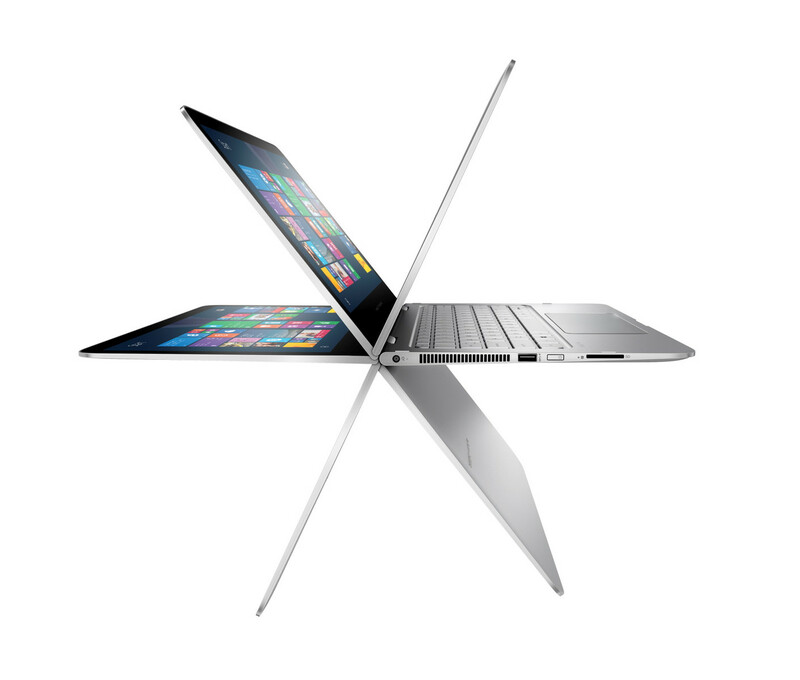 The HP Spectre x360 supports Intel® Core™ i5 and i7 processors to tackle the most demanding tasks without lag. 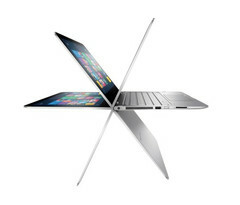 (6) With a lightning fast SSD up to 512GB,(7) customers can expect their PC to turn on instantly and load apps quickly. The HP Spectre x360 supports both a full-size HDMI and DisplayPort 1.2 compatible ports to allow customers to access content across multiple screens. Customers can also take advantage of the built-in Intel® Wireless Display technology to stream content on their living room TV. (8) To accommodate multiple devices and accessories, the HP Spectre x360 has three USB 3.0 ports and with HP USB Sleep and Charge, customers can use the HP Spectre x360 to charge their devices on the go even when in sleep mode. The HP Spectre x360 is expected to be available in the United States on March 1, 2015 at www.hp.com/spectrex360 and Best Buy on March 15, 2015. HP Spectre x360 with Intel® Core™ i5 Processor, Full HD touchscreen display, 4GB LPDDR3 system memory and a 128GB SSD is $899.99. HP Spectre x360 with Intel® Core™ i7, Full HD touchscreen, 8GB RAM and 256GB SSD is $1149.99. HP Spectre x360 with Intel® Core™ i7, Quad HD touchscreen, 8GB RAM and 512GB SSD is $1399.99.